Unlike printed textbooks, there doesn't seem to be a clear avenue for selling e-textbooks when you're done with them. It begs the question: can you resell your e-textbooks? What about digital textbook rentals - can you sell the remaining time you have on them to other students? In both cases, the short answer is "no." That's because there are nuances to the digital textbook industry that legally prevent you from transferring ownership to another person. Here, DirectTextbook.com takes a closer look at those nuances to explain why you cannot sell an e-textbook you bought or rented. Even though the button says "buy now," you do not actually purchase digital textbooks. Rather, you purchase a license to use them - either indefinitely, or for a preset period of time (as is the case with rentals). "Buy" or rent, all you're really paying for is the right to access the materials. This differs significantly from the printed textbook industry, which must adhere to the Right of First Sale Doctrine. It states that the person who purchased the textbook has ownership of the book, and therefore the right to resell it. But print textbooks are tangible, physical items that can be transferred hand-to-hand. E-textbooks, on the other hand, are treated more like software - complete with privacy policies and terms of service (TOS). And those terms typically state you are only licensing the books, while the publisher retains ownership. Confusion often stems from that critical lack of understanding. In the digital publishing world, TOS are rarely read by end-users, so they are not aware of their rights to resell (or lack thereof). 98% of people missed clauses that gave the social network the right to share data with the NSA and employers - and, they even missed a clause agreeing to give up their first born child in return for access to the social network! The study centered around a social network, but it illustrates how students' failure to read - and subsequently understand - TOS leads to misconceptions about whether they can sell digital textbooks. Part of the problem is the pervasive use of "buy now" language versus "license now." Quartz writer Christopher Groskopf summarizes the findings of a research paper titled What We Buy When We Buy Now. For that paper, researchers set up a fictitious ecommerce site that "sold" ebooks to study the difference between what consumers believe about their rights and what rights they actually have. The difference in verbiage had significant influence over ownership beliefs, but very little over rights of resale (interestingly, more of those who knew they were licensing an ebook believed they could resell it). For both questions, the answer is "no." According to the TOS, consumers did not own the ebooks, nor did they have the rights to sell the ebooks. Why can't you resell e-textbooks? One of the advantages to print textbooks is that they can be resold when you're done with them. That helps offset the initial cost of the textbooks, and often makes the net cost of print textbooks less than "cheaper" e-textbooks. Some say restricting ownership and resale rights is a ploy to ensure continual textbook sales, which is probably partly true. But there's more to the story. "Bob buys an ebook from Amazon for $10. After reading, he sells it to a new person for $8. After a couple more transactions the used ebook is going for $1. But the reading experience is as pristine and clean as the first one." The point? 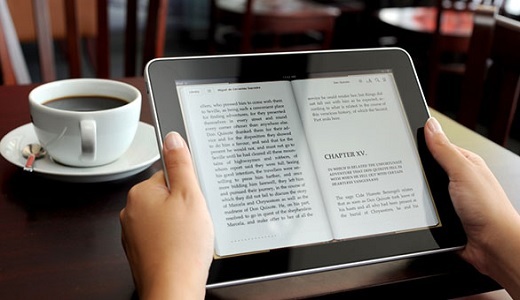 Physical books lose value with use as their conditions deteriorate; however, ebooks are always in perfect condition - why would anyone ever buy a new ebook if they could get a "used" ebook cheaper? Eventually, the price of every ebook would be one cent; publishers, bookstores, and authors would no longer be able to profit enough to make the business viable, and new books - including textbooks - would not be created at all. None of this is to say it's impossible to sell used e-textbooks; however, there's an enormous likelihood that any e-textbook you buy or rent explicitly denies rights of ownership and resale in its TOS. Of course, there are ways around the TOS - giving someone else access to your account, for example, or selling the digital device a given book is loaded on. However, these are probably violations of your TOS as well, since licensing is granted to the user, not the device or account. All that could soon change. In recent years, both Apple and Amazon have filed patents for platforms that create marketplaces for used ebook sales. What about the "one-penny problem?" The prevailing thought is that new TOS will be created that set time-based minimum resale prices. For example, an ebook that sells for $10 must be resold for a minimum of $8; in six months, it could be resold for a minimum of $5, and so on. This strategy would allow for controlled depreciation and maintain profitability for new books. In the meantime, the most important takeaways are: you cannot resell your e-textbooks, and you cannot sell leftover time on your e-textbook rentals. If you want to save money and minimize the cost of college, you should compare the net price of e-textbooks versus print textbooks before you rent or buy (or license, as it is). For example, a new copy of Campbell Biology (10th Edition) sells for around $74 via DirectTextbook.com (discounted from $230). At the end of the semester, you could sell the textbook via Flipsy.com for $45 - a net cost of $29. If you want to buy the ebook, you'll pay around $91; to rent, around $30. In this case, buying a new print edition is cheaper than buying the ebook and about the same price as renting it. However, if you were to buy the book used, you can pay as little as $46. Sell it at the end of the semester for $45, and your net cost is just $1 - by far the cheapest option. You can't resell your e-textbooks, but that doesn't mean you have to pay full price. Compare all the options available with Direct Textbook to get the lowest net price, and you can dramatically reduce the cost of textbooks.